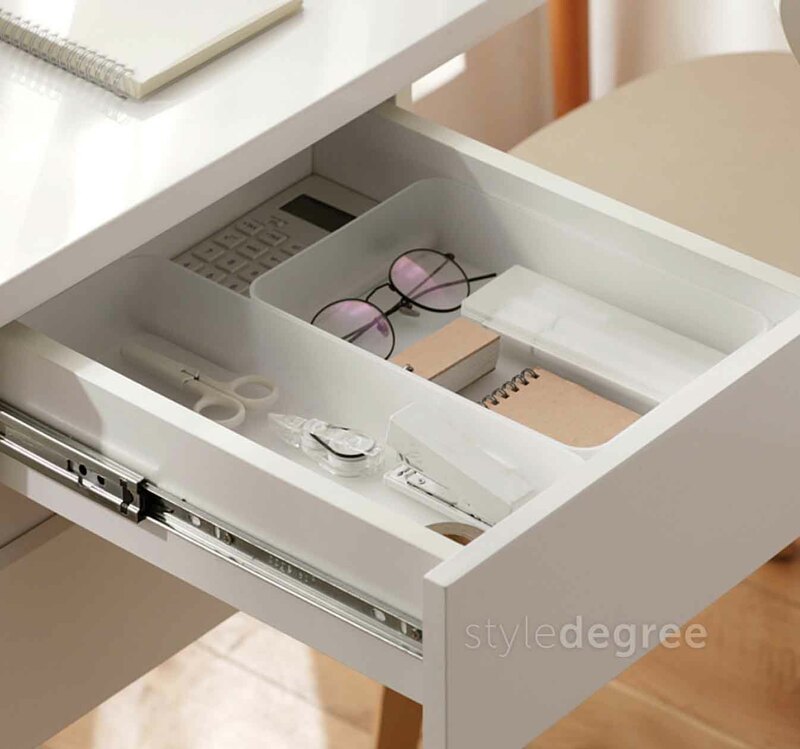 Keep your drawers all spruced up with our Clear Tray & Drawer Organizer! 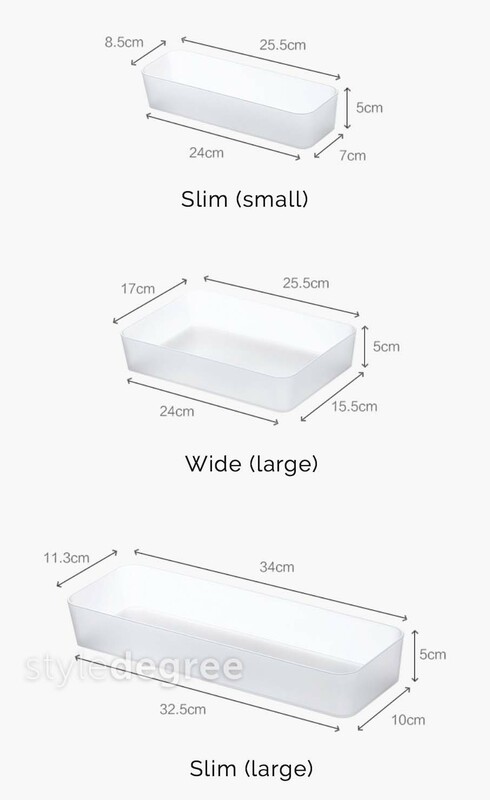 Made with the finest materials, these holders are perfect for storing utensils, stationery and even medical supplies. 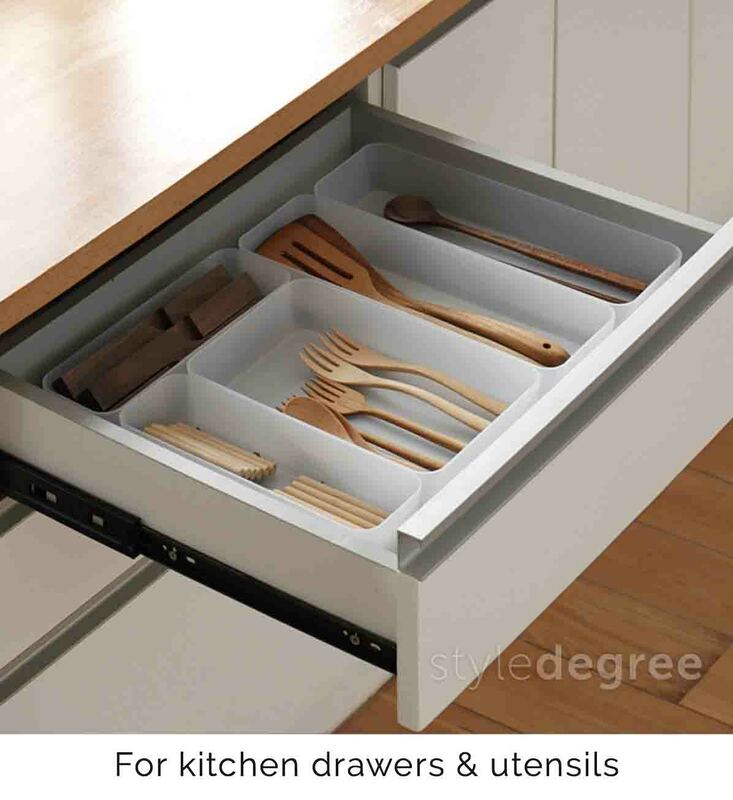 Available in 3 sizes, make your drawers and cabinets easily accessible today! Promo: Save 5% with a 3-piece promo set! Comes with 1 of each size. Maximise your kitchen storage space with our Protective Fridge & Cabinet Organizer! Coming with a lid, it helps to protect your stored items, be it food, condiments or other essentials. 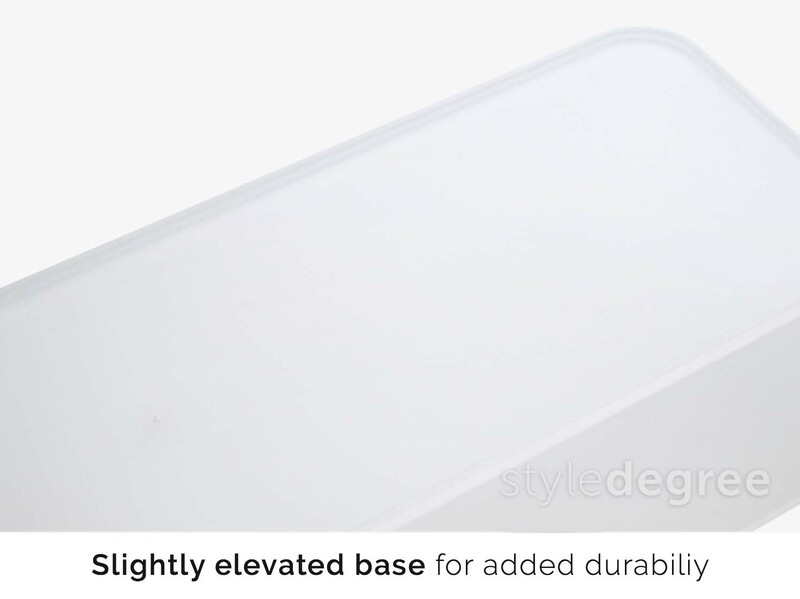 Besides, it features a stackable design and an easy access handle for space optimisation! Maximising your kitchen space is made easy with our Clear Fridge & Cabinet Organizer! 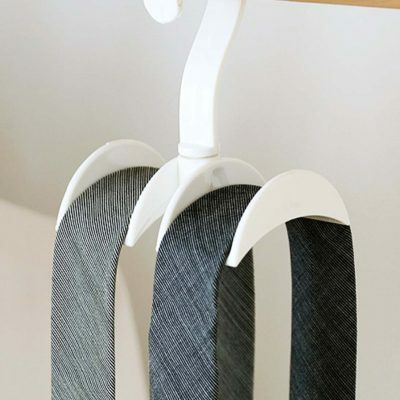 This holder helps to compartmentalise your fridge and cabinets, allowing you to have a home every kitchen essential. Besides, it features rear roller wheels for easy access and storage – perfect! 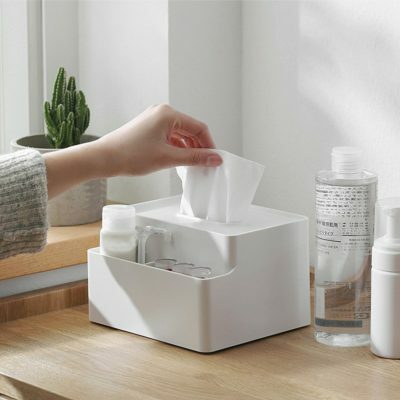 Our Tissue Multi Holder sits on your TV cabinet or study desk functionally and gorgeously! 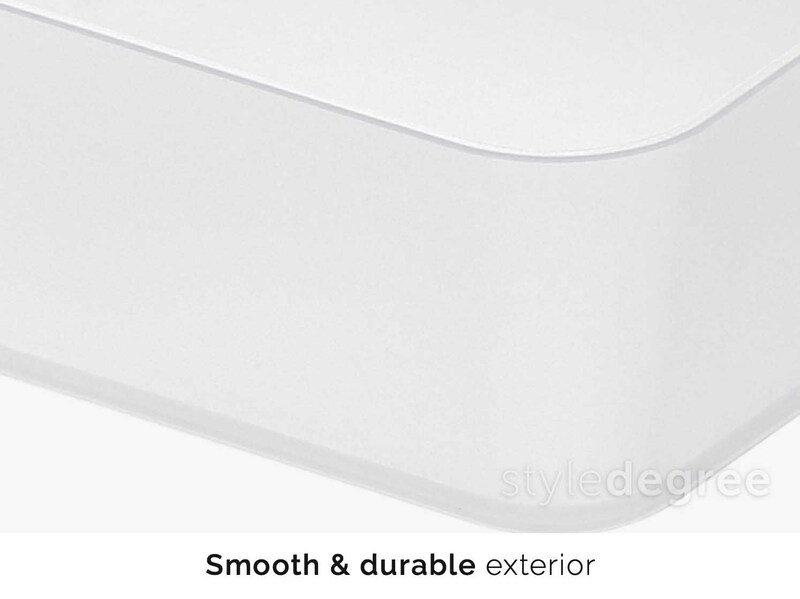 Crafted with well-made materials, it protects your tissue and organize all your essentials such as remote controls, stationeries or accessories. 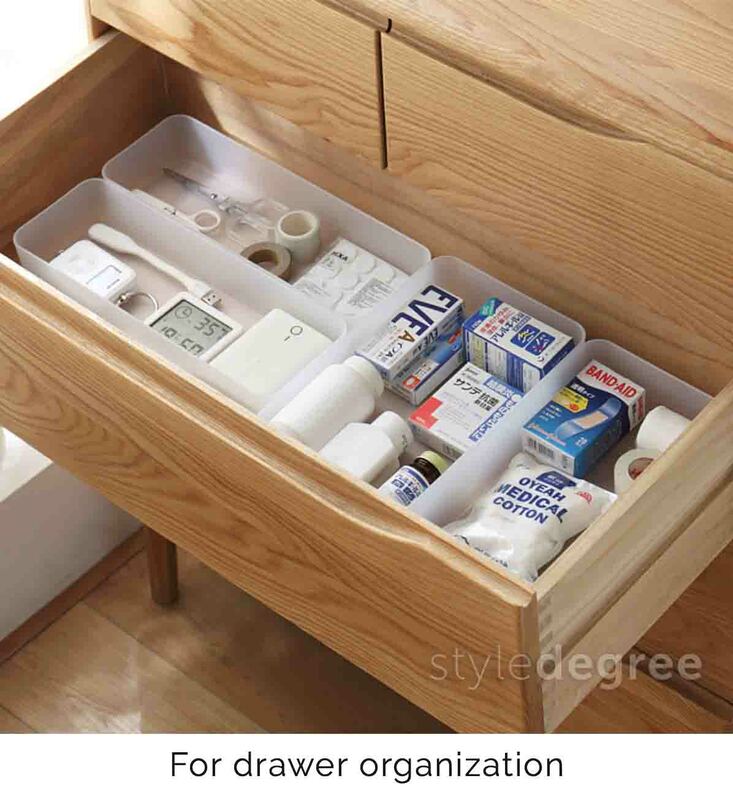 Make this multi-purpose organizer your living room companion today!